After you’ve been traveling a while, every hotel begins to look the same—unless, that is, you’ve booked a much more unusual place to stay. For those who’ve gotten bored of the standard overnight setup, here are 14 of the most unique hotels in the world. 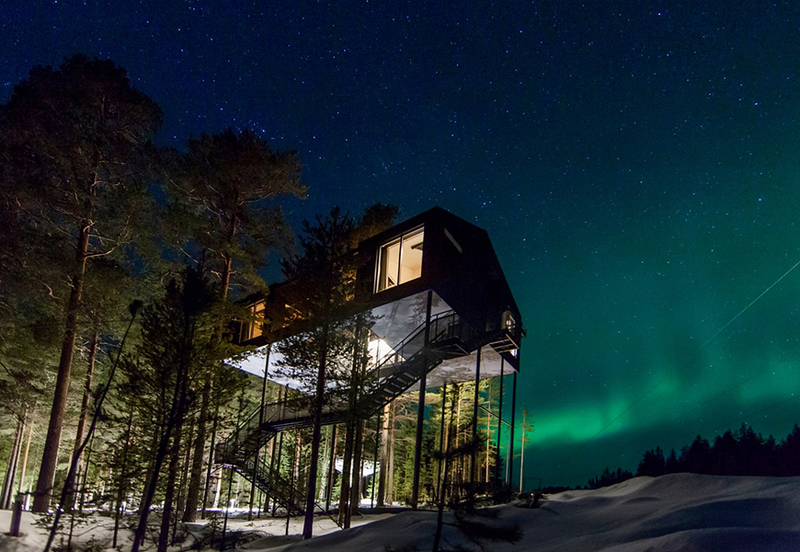 Choices include an abode that looks like a humongous bird’s nest, one shaped like a UFO, and the reflective “Mirrorcube.” Guests get enchanted views of the woods, the Lule River, and (at the right time of year) the aurora borealis. From September to March, the hotel’s employees give guided northern lights tours; all year long, you can eat at the on-site restaurant, which specializes in northern Swedish cuisine, and explore the 600-person village of Harads. Other worthwhile treehouse hotels around the world include British Columbia’s globular Free Spirit Spheres, Quebec’s Canopée Lit in the Boreal forest, Peru’s Amazonian Treehouse Lodge, Texas’s new Treehouse Utopia, and Washington state’s Treehouse Point and 50-foot-high Cedar Creek Treehouse, with its rainbow-painted suspension bridge. For more ideas, see The 10 Most Incredible Treehouse Hotels in the World. 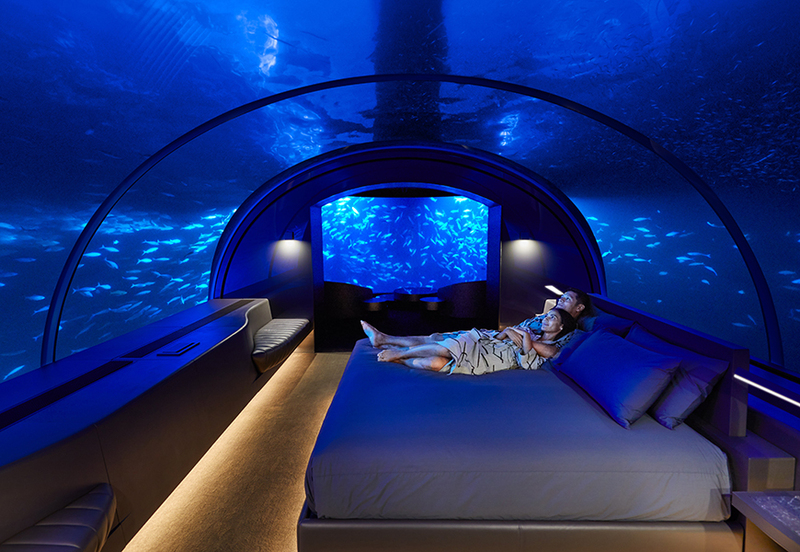 In late 2018, the Conrad Maldives Rangali Island, already known as an extraordinary place to stay, debuted a two-story, three-bedroom undersea residence with a modern, domed design and 24-hour butler service. But the Muraka’s most impressive feature is its full, glassy immersion in the Maldives’ mesmerizing ocean life. World-class architects and engineers teamed up to construct the unique hotel room in Singapore; they then transported it to the Maldives, anchoring it in the middle of the Indian Ocean. The only catch: The Muraka costs $40,000 per night. Those of us not stocked with that level of disposable income can have a meal at the Conrad’s undersea restaurant, Ithaa. Or travel instead to Key Largo, Florida, to stay at Jules’ Undersea Lodge—named after Mr. Verne, natch. 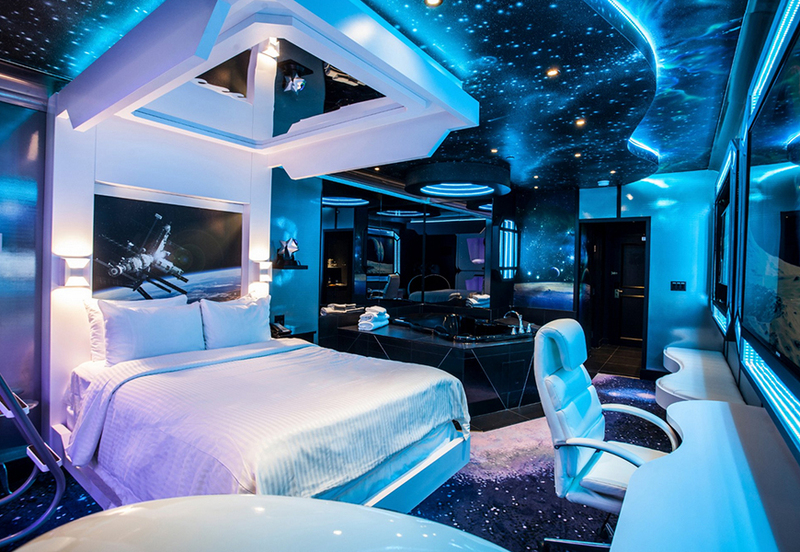 You’ll have to scuba dive down to this strange guest room, at the bottom of a fish-filled lagoon. Other undersea suites around the world include those at Tanzania’s Manta Resort, Dubai’s Atlantis, The Palm, and Singapore’s Resort World Sentosa. Bali’s Bambu Indah resort has a glass-bottomed room that lets its guests observe the sea life below. And coming soon, supposedly: Fiji’s 40-foot-deep Poseidon Undersea Resort. By now, everyone knows about Sweden’s remarkable Icehotel and its frozen brethren: Quebec’s Hotel de Glace, Norway’s Snowhotel Kirkenes, and Ice Hotel Romania—all artist-sculpted hotels that arise gorgeously every winter, only to melt away in summer. 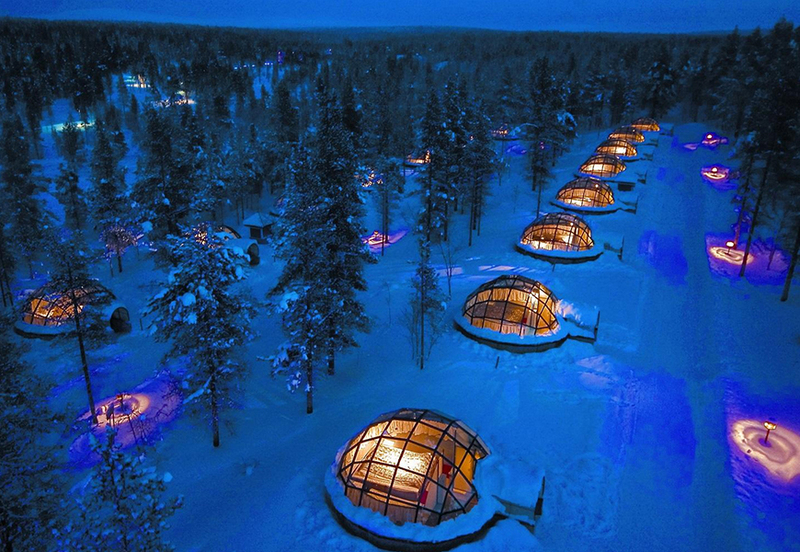 But if you’re more interested in finding out what it’s like spend the night in a real-life igloo, head to Finland for a stay at Kakslauttanen Arctic Resort, 150 miles north of the Arctic Circle. Most images of it show its rows of glass-domed “igloos,” which are eminently worthwhile in and of themselves, particularly for their unobstructed view of aurora borealis. For the true igloo experience sans quotation marks, however, opt for one of the property’s dozens of actual snow igloos, where you’ll find calm, quiet, and a sleeping bag to keep you toasty in the room’s below-freezing temperature. Traveling farther south? Iglu-Dorf lets you experience igloo living in Switzerland, Germany, and Austria. What to do with an old crane? Why, turn it into a hotel, of course. This is exactly what a company called Yays did with a retired Figee—it commissioned Dutch designer Edward van Vliet to create a stylish interior for a three-story apartment with vertiginous views over the IJ River. The crane operator’s box was left intact, so guests can still hear his recorded stories play. 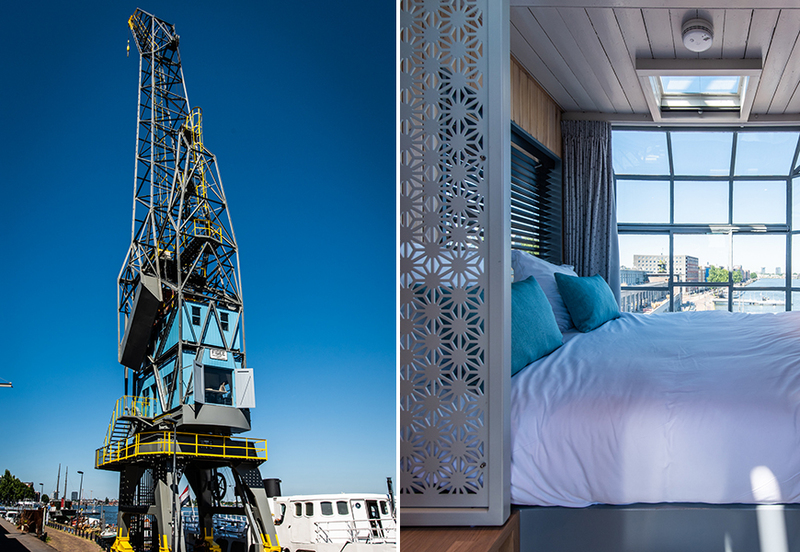 Apparently, transforming cranes into hotels isn’t a one-off thing to do in the Netherlands: There’s also the 164-foot-high Crane Hotel Faralda, as well as the Harlingen Harbour Crane, whose movement you can control yourself. Should you find yourself getting hooked on overnighting in industrial contraptions, you can continue on to sleep on a decommissioned oil rig at Malaysia’s Seaventures Dive Rig, in a granary at New Zealand’s SiloStay, in a wine barrel at the Netherlands’ De Vrouwe van Stavoren Hotel, or in a drainpipe at Austria’s Das Parkhotel. 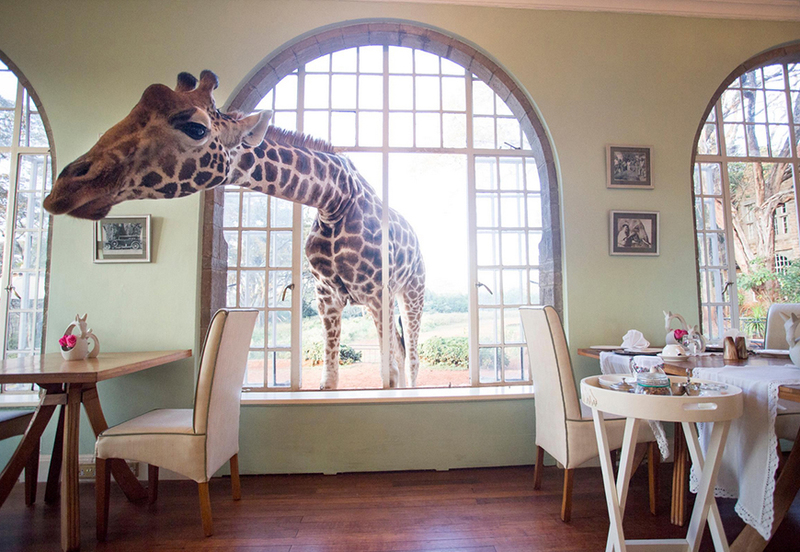 If you can’t get out of the U.S. but still want to sleep where animals dominate, you have at least one option in Texas—The Lodge at Fossil Rim—and three in California: Safari West in wine country, Vision Quest Safari B&B at the Monterey Zoo, and Farm Sanctuary, which also offers accommodations in upstate New York. Everyone loves a good theme. And while amusement parks are famous for making good use of them, it’s harder to find hotels that are themed through and through. In Canada, Edmonton’s Fantasyland Hotel is in a shopping center, but that’s hardly the most unique thing about it. True to its name, Fantasyland offers 120 fantasy-themed rooms, and you choose your surroundings. Options at this novelty hotel include rooms that look like a spaceship, a gas station, Polynesia, Rome, the Arabian desert, and a prison cell. Plus, the attached mall has a waterpark, thrill rides, miniature golf, and a bowling alley. Other unique hotels with hyper-themed suites include Denver’s Curtis Hotel (Star Wars rooms and Star Trek and Ghostbusters suites), New Hampshire’s Adventure Suites (room names include “Motorcycle Madness,” “Dragon’s Lair,” and “Cupid’s Corner”), and Fort Worth’s Western-themed Stockyards Hotel, where Bonnie and Clyde once slept in a suite that bears their names. 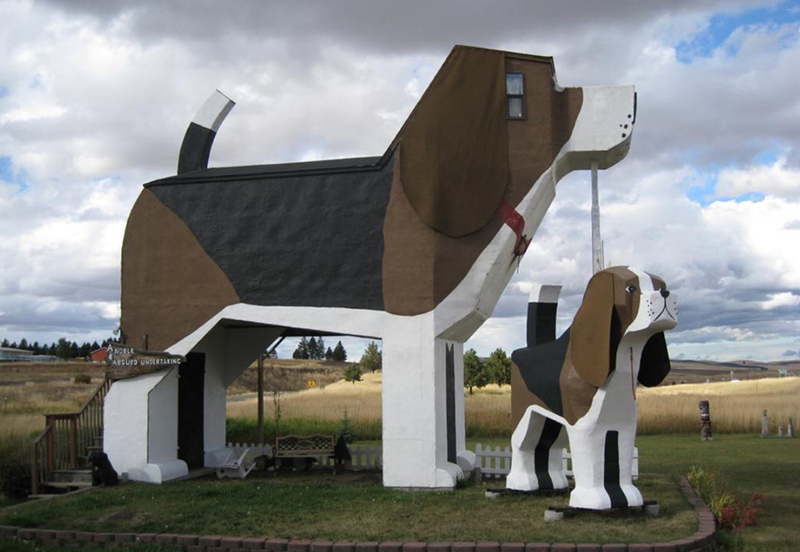 Idaho’s Dog Bark Park Inn is on virtually every list of the world’s most unique hotels for good reason: It’s shaped like a dog. Also, everything inside the homey B&B is over-the-top dog-themed, including the pillows, the bedrest, the books, the cookies, the board games and puzzles, the curtains, and the canine chainsaw art (also sold in the on-site gift shop) handmade by the property’s welcoming mom-and-pop owners. More than a quirky roadside attraction—though it’s that, too—”Sweet Willy,” built in 2003, is made from wood, metal, and stucco. And yes, you can bring your own pup. If you’d rather sleep inside a Trojan horse, book at Belgium’s uber-whimsical La Balade des Gnomes. If you’ve ever had the craving to sleep in a cave, put Turkey’s magical Cappadocia region on your bucket list. There, many of the unusual hotels are carved right into the land’s ancient stone. 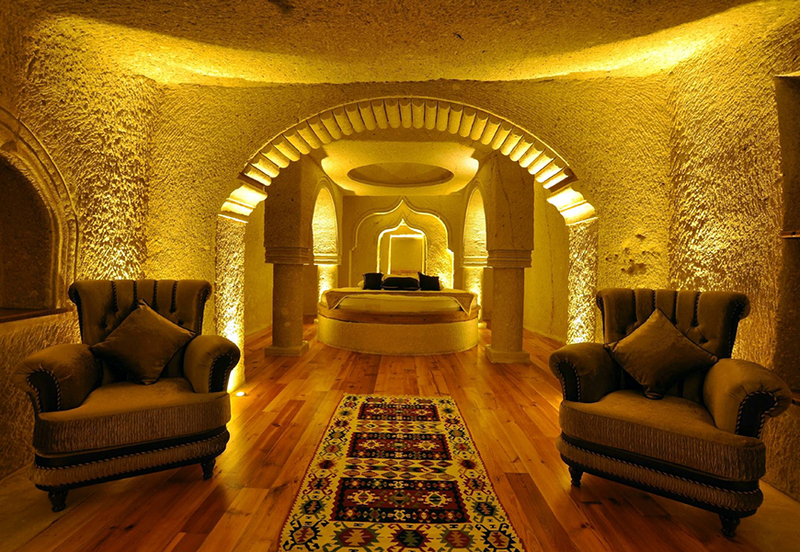 There are plenty of cave hotels to choose from in Cappadocia, including the lovely Seraphim Cave Hotel, but Ottoman Cave Suites, in a town called Goreme, is perhaps the most unique hotel of the bunch. 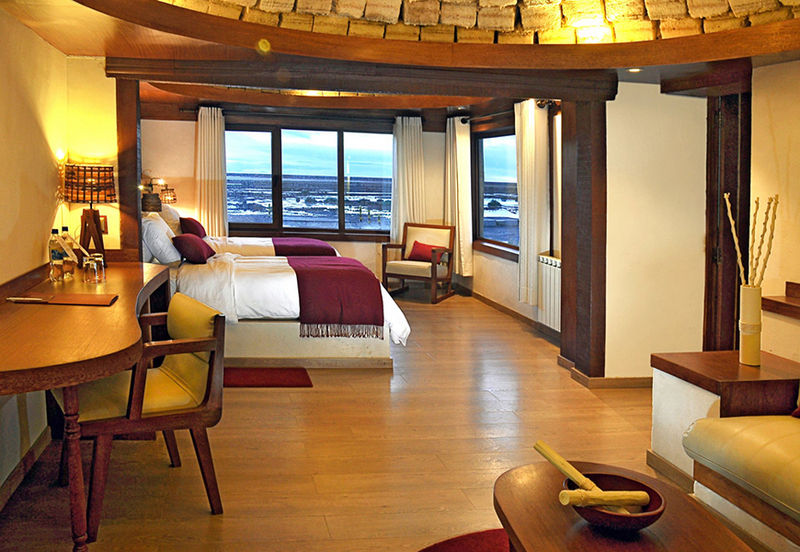 Its dramatic, Ottoman-themed rooms feature velour furnishings, Turkish art, and—the distinguishing feature—scalloped stone walls and ceilings of cool, hollowed-out volcanic stone. Elsewhere in the world, you can also stay in Grand Canyon Caverns’ cave suite, at Kokopelli’s Cave in New Mexico, and at Switzerland’s Felsenhotel La Claustra. Train buffs will be pleased to learn that the world has a set of unique inns situated in retired locomotives. Pennsylvania’s Red Caboose Motel, for example, has turned the world’s largest privately owned collection of cabooses into a quirky hotel that’s surrounded by Amish farms, with an on-site dining car called Casey Jones’ Restaurant, and the impressive Railroad Museum of Pennsylvania just down the road. The sleeping quarters resemble basic motel rooms—except that they’re set in real caboose cars. Fans of the iron horse can also sleep in retired trains at California’s Featherbed Railroad and Railroad Park Resort, Minnesota’s Whistle Stop B&B, Montana’s Izaak Walton Inn, Indiana’s Crowne Plaza Indianapolis Downtown Union Station, Alaska’s Aurora Express, and South Africa’s Santos Express. Here’s a line from Helga’s Folly‘s website: “If expecting a regular hotel experience, best look elsewhere, thank you.” This is an understatement. 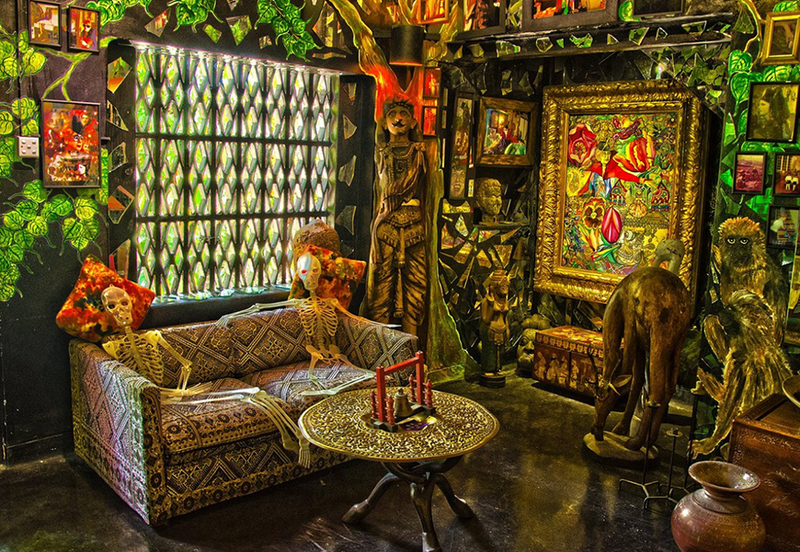 One of the world’s truly weird hotels, this property in Kandy, Sri Lanka, is covered from top to bottom in psychedelic hand-painted art, skeletons, wax-dripped candelabras, and a clutter of other creepy-cool decor. Staying here is guaranteed to make you feel like you’ve stepped into a Tim Burton movie. If you’re not quite up for a full-on overnight, you can visit just for dinner. For other properties approaching this level of wackiness, check out Vietnam’s Crazy House and Chile’s hobbit-like Montaña Mágica Lodge. 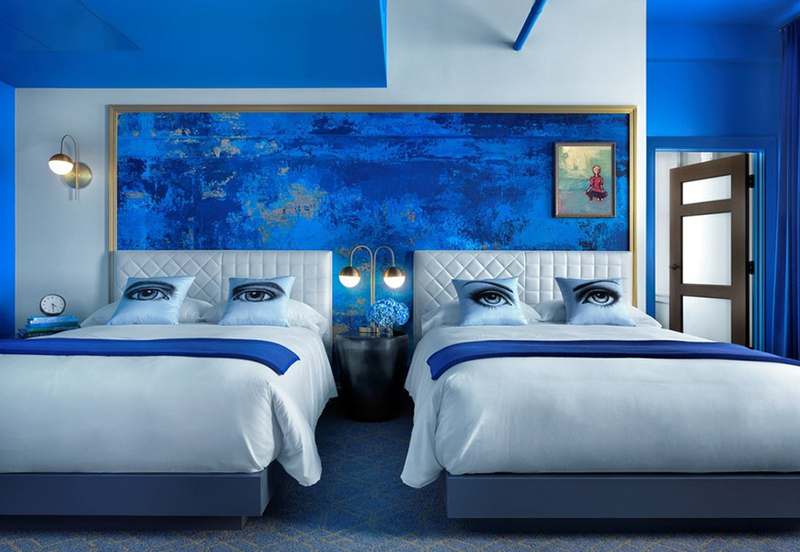 The recent opening of the Angad Arts Hotel in St. Louis is good news for anyone who’s ever wished they could sleep in their favorite art museum. At the Angad, there’s striking artwork throughout, pop-up performances, a musical playroom, and a refined David Burke eatery. You choose which color you want your guest room to be saturated with: a bold red, green, yellow, or blue. Calling itself an “incubator for the arts,” this unique hotel is in the city’s Grand Center Arts District, surrounded by more than 40 thriving arts venues. Art lovers can also stay at Japan’s Benesse House, which displays original works by Andy Warhol, Jackson Pollock, Yayoi Kusama, and David Hockney, as well as Florida’s Art Ovation Hotel, or any of the 21c Museum Hotels. Miami’s Villa Casa Casuarina, better known as the Versace Mansion, has been many things: Gianni Versace’s over-the-top villa, a rundown apartment building, and the home of the Standard Oil heir Alden Freeman, who built the property in 1930 as a replica of Christopher Columbus’s son’s house. It became a murder landmark in 1997 when the famous fashion designer was gunned down on the mansion’s front stairs. After that, it was the backdrop for FX’s American Crime Story television series—then, finally, a hotel. 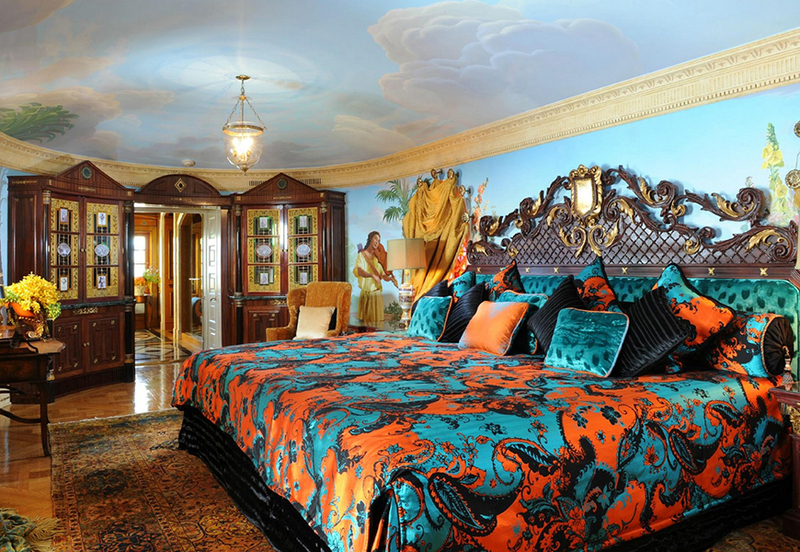 Spanning its three palatial stories are 10 bedrooms, including the aptly named “Extravagant Villa Suite,” where Versace himself slumbered. Overnight guests can luxuriate amid hand-painted frescoes, a fountain courtyard, hand-carved wood doors, elaborate mosaics, Italian marble, opulent furnishings, and a swimming pool lined with 24-karat gold. If your particular interest is staying at hotels that are owned by celebrities, there’s also Australia’s Palazzo Versace (owned by Gianni’s sister, Donatella), Florida’s Costa d’Este (Gloria and Emilio Estefan), Morocco’s Kasbah Tamadot (Richard Branson), Belize’s Blancaneaux Lodge (Francis Ford Coppola), Italy’s Palazzo Margherita (also Coppola), Utah’s Sundance Resort (Robert Redford), Dublin’s The Clarence (Bono), and two in Carmel, California: Cypress Inn (Doris Day) and Mission Ranch (Clint Eastwood). True to its name, Bolivia’s Hotel Palacio de Sal is built entirely of salt. Its walls, ceilings, and sculptures, as well as the majority of its furniture—including the beds—are made from large salt bricks. The floors, for their part, are covered with a thick, crunchy layer of the stuff. The sodium-themed property, which sits at an elevation of 12,000 feet, also offers a full-service spa, a fine-dining restaurant, and an in-house tour operator that takes guests out onto Salar de Uyuni, the planet’s largest salt flat—an otherworldly white-desert destination that should be on any serious traveler’s bucket list. Another unique hotel to consider on Bolivia’s vast Salar de Uyuni is Kachi Lodge, a new luxury dome camp that looks as though it would be right at home on the surface of the moon. More interested in staying amid other minerals? Consider Zandotel Oss, in the Netherlands, to sleep in a bona fide sandcastle, or Sweden’s Sala Silvergruva, a historic silver mine whose “Mine Suite” is the world’s deepest hotel room at 508 feet underground (claustrophobes, steer clear). Never been able to sleep on a plane? 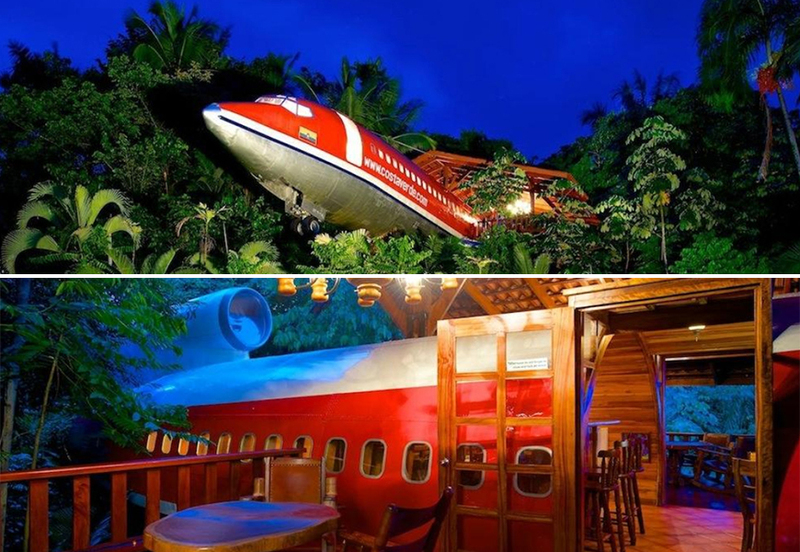 You won’t be able to say that any longer after staying at Costa Rica’s Hotel Costa Verde, the site of an upcycled Boeing 727 that used to belong to Avianca Airlines. The innkeepers hollowed out the fuselage, paneled the interior in Costa Rican teak, added furniture, and perched it high in the jungle for elevated views of trees and sea, making for a completely unique getaway. A similar experience can be had at Stockholm’s Jumbostay Hotel, a grounded 1976 Boeing 747 spiffed up with comfy beds—book the cockpit, if you like. Aviation aficionados will also be interested to know that New York City’s TWA Hotel is set to open this May at John F. Kennedy International Airport, as an upscale tribute to the defunct but beloved airline. Request a runway-view room if you’d enjoy watching as jets take off.